The Nike Sonic Flight is back, inspired by a vintage Nike Basketball ad. It's been awhile since we have seen a new Sonic Flight drop. 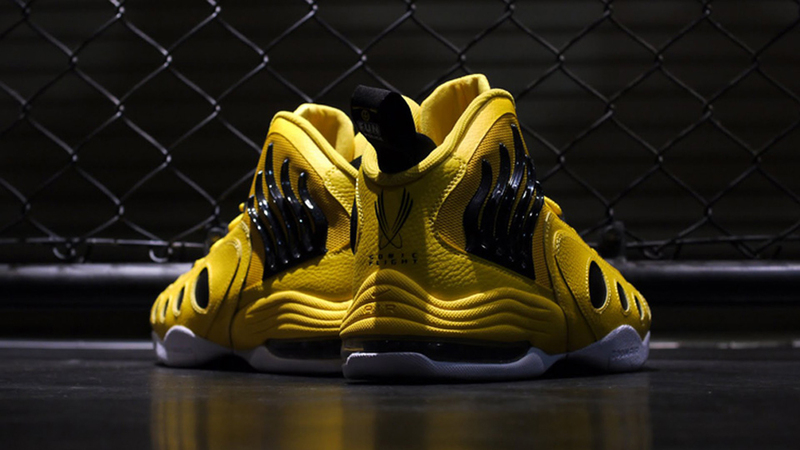 After numerous GR releases in the beginning of the year, they are back with a new themed colorway. 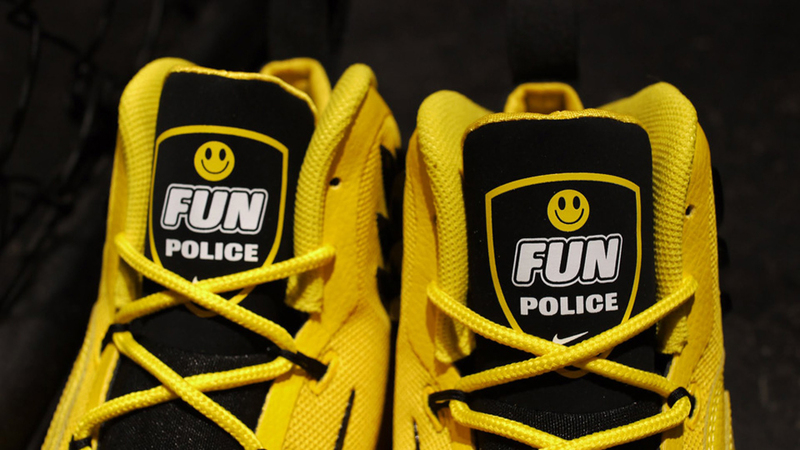 Known as the 'Fun Police' edition, this pair comes in tour yellow and black. 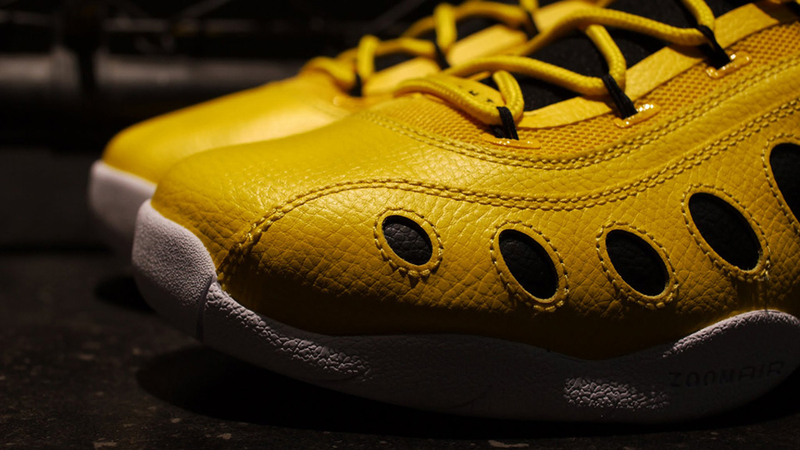 Featuring a yellow-based leather upper with black accents sitting on a white sole. 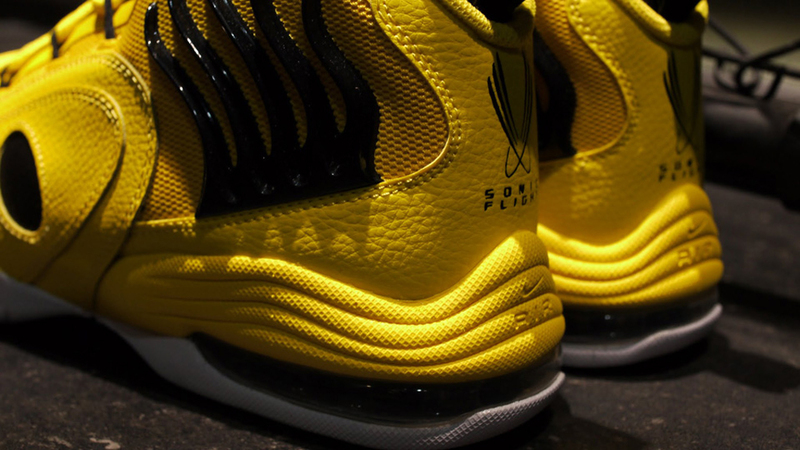 The 'FP' logo is found on the tongue as well as the back heel pull tab. 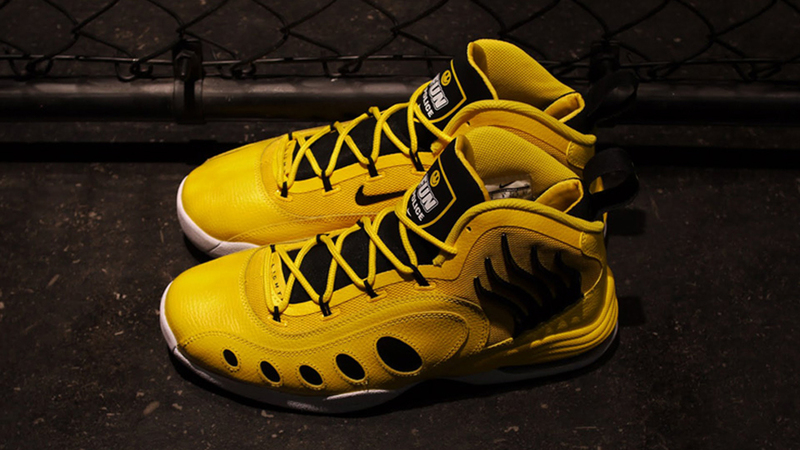 The 'Fun Police' Nike Sonic Flight is available now at select Nike Sportswear retailers overseas such as mita. Look out for them to release stateside in the next few weeks.